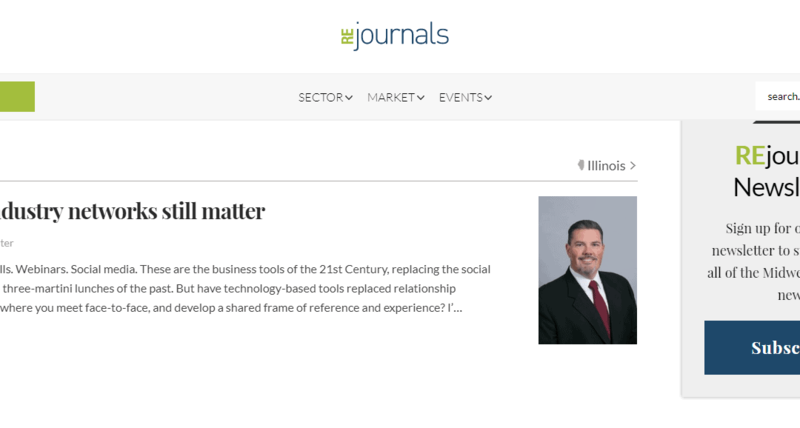 REJournals.com article bylined by Jason West, President of the Chicago Chapter of SIOR and Executive Managing Director, Cushman & Wakefield. West asks the question: have technology-based tools replaced relationship networking? The answer is a firm no.